In 2018, KFC ran out of chicken, we sent a car into space and we all had to decide if we heard Yanny or Laurel in an audio clip. We have a lot to look forward to, particularly in manufacturing. Each new year brings new technologies and processes to increase digitalisation and improve our results. Here Jonathan Wilkins at EU Automation looks at three areas of manufacturing that could trend in 2019. In 2018, manufacturers have focused on implementing Industry 4.0 technologies including, automation, IoT devices and sophisticated software to optimise the supply chain and improve productivity. For 2019, manufacturers should look at how they can use technology to improve how they interact with the changing needs of the consumer and the industry. In both commercial and industrial markets, customers want the latest products to be delivered with greater flexibility at a lower cost. To meet the growing demand, anything as a Service (XaaS) business models are becoming more popular. Manufacturers are benefitting from working with companies that offer Software as a Service (SaaS) or Platform as a Service (PaaS) to improve productivity without the extensive costs of changing or updating their processes. Instead, they can access an already established system from anywhere in the facility. These services can include online workspaces to improve collaboration or services that ensure documents can be stored and accessed efficiently and safely. In recent years, advances in IoT devices and connectivity have allowed manufacturers to build more intelligent manufacturing systems. These advances and the growing popularity of cloud-computing allows more manufacturers to integrate their information technology and their operational technology (OT). Manufacturers can converge IT and OT to pool data from the factory floor with other areas of the business, such as customer insights. This gives manufacturers access to real-time enterprise data to increase visibility across the supply chain. Manufacturers can then use this information to make decisions. 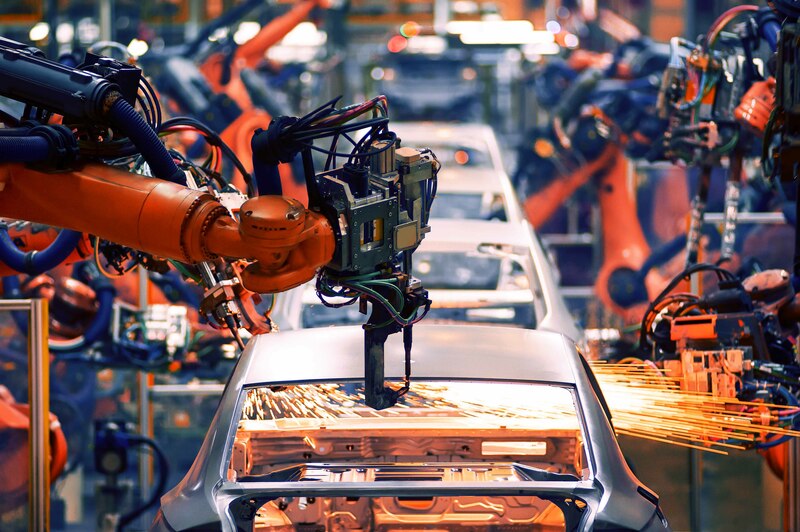 Connecting more devices to the IoT can help manufacturers working towards more intelligent manufacturing processes to do so, without investing in an entirely new system. Manufacturers can retrofit existing equipment with smart sensors to collect real-time data about the condition of legacy equipment. Access to information on machine condition will help manufacturers detect machine faults, giving them time to order a replacement part from a reliable automation parts supplier before downtime occurs. In 2018, programmes like Planet Earth and global conversations about climate change opened our eyes to our impact on the environment. Now, consumers, trade bodies and governments are more aware of the environmental impact of a company’s products. Manufacturers should evaluate their processes to see where they can reduce energy consumption, waste or pollution. To efficiently reduce waste without compromising on productivity and product quality, manufacturers can install energy-efficient heating and cooling systems, to reduce waste created as by-products and improve the recyclability of products. Companies can also tap into the circular economy, to ensure that the maximum use is gained from its resources. Large manufacturers, such as Toyota have been promoting leaner manufacturing principles for years. The automotive manufacturer follows the Just-in-Time model where the next step of a process only begins when the previous ends. This stops any unnecessary work going ahead if there is a flaw in the assembly line or a breakdown. 2019 is full of opportunities for making improvements — whether it is making sure that a fast-food chain has enough chicken or reducing the carbon footprint of your production line. As more manufacturers digitalise their processes, they should consider how to use their existing equipment to reduce energy consumption, make better use of their data and align their services with their customers’ needs.